The Jack & Jill Children's Foundation endeavours to help improve families' lives by engaging with the child and family to empower them and give them the choice to care for their child at home, often in extraordinary circumstances and with extraordinary responsibilities. 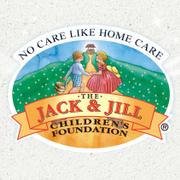 The Jack & Jill Children’s Foundation provides direct funding, to families of children with brain damage up to the age of 4 who suffer severe intellectual and physical developmental delay, enabling them to purchase home respite care. We also provide end of life care to all children up to the age of 4 years.